Have high humidity in your basement or living area? We can help! Water and mold spores are the recipe for home mold infestation, growing in damp places that you may or may not see. With the right environment, mold and black mold can grow almost anywhere. The most obvious places are on walls, ceilings, carpets and bathtubs. It can also grow in hidden areas, such as within walls, under flooring or in closets. 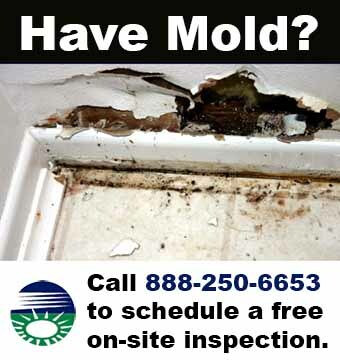 Excess humidity or dampness from water leaks, pipe, bathtub or shower water condensation, can create the perfect conditions for mold growth. Symptoms of typical mold allergies are usually similar to seasonal allergies. They can include sneezing, a runny nose, itchy and watery eyes, and even flu-like symptoms. Controlling the humidity levels in your home is key in protecting of you home, health, and family. Dehumidifiers are an affordable solution to your humidity problems. This investment in superior indoor air quality and comfort is often recovered after only a few years through energy savings (depending on the unit and kWh). Your investment in a free-standing energy efficient dehumidifier will not only pay you back in energy savings, but also create a more comfortable, controlled living space. Protect your home, your family and your comfort with a dehumidifier. Call us today at 888-250-6653 to learn more about dehumidifier installation in your home.